This book about the world’s Empires and their ghosts, seeds and Embryos of Empires, which for millennia have been at war with each other, above and beneath the surface of the World Stage. 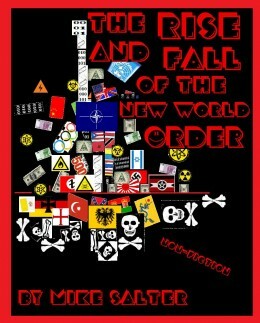 “Rise And Fall of the New World Order” is also a response to the adverse affects of globalization, interdependence and climate change, as well as a description of the breakdown of the ecosystem and society. It is also an exposé of the Dark Side of the so-called New World Order, and a very cynical and paranoid security assessment of the so-called New World Order, and all other Patriarchal Orders and Empires that ever existed. This book was a nightmare to write, and took almost twenty years to reach its present form. It will probably never be complete, and is best described as an ongoing excavation, which began as a term paper in the early nineties when I was working on my B.S. in political science, on the six and a half year plan. Because I changed my major a dozen times, I was able to capture the dynamics of the New World Order from a dozen different academic viewpoints, including history, economics, business, finance, psychology and environmental science. This book is one out of four, all of which are dedicated to my parents, especially my mother, who made these books possible.